While there is no official estimation regarding black money of Indians stacked in Swiss banks, recent media reports have quoted Zurich based Swiss National Bank as saying that money held by Indians in Swiss banks has fallen by nearly one-third. These reports also say that the funds, described by Swiss National Bank as ‘liabilities’ of Swiss banks or ‘amounts due to’ their clients, are the official figures disclosed by the Swiss authorities and do not indicate to the quantum of alleged black money held by Indians in Switzerland. Afghanistan, Albania, Andorra, Anguilla, Argentina, Armenia, Aruba, Australia, Austria, Azerbaijan, Bahamas, Bahrain, Bangladesh, Barbados, Belarus, Belgium, Belize, Bermuda, Bhutan, Botswana, Brazil, British Virgin Islands, Bulgaria, Canada, Cameroon, Cayman Islands, China, Chinese Taipei (Taiwan), Chile, Colombia, Costa Rica, Croatia, Curacao, Cyprus, Czech Republic, Denmark, Egypt (United Arab Republic), El Salvador, Estonia, Ethiopia, Faroe Islands, Fiji, Finland, France, Gabon, Georgia, Germany, Ghana, Gibraltar, Green Land, Greece, Guatemala, Guernsey, Hungary, Iceland, Indonesia, Ireland, Isle of Man, Israel, Italy, Japan, Jersey, Jordan, Kazakhstan, Kenya, Korea (Republic of), Kuwait, Kyrgyz Republic, Latvia, Liechtenstein, Liberia, Libya, Lithuania, Luxembourg, Macau (China), Macedonia, Malaysia, Maldives, Malta, Marshall Island, Mauritius, Mexico, Moldova, Monaco, Mongolia, Montenegro, Montserrat, Morocco, Mozambique, Myanmar, Namibia, Nepal, Netherlands, New Zealand, Nigeria, Niue, Norway, Oman, Pakistan, Philippines, Poland, Portugal, Qatar, Romania, Russia, San Marino, Saint Kitts and Nevis, Saudi Arabia, Senegal, Serbia, Seychelles, Singapore, Sent Maarten, Slovak Republic, Slovenia, South Africa, Spain, Sri Lanka, Sudan, Sweden, Switzerland, Syria, Tanzania, Tajikistan, Thailand, Trinidad and Tobago, Tunisia, Turkey, Turkmenistan, Turks & Caicos, Uganda, Ukraine, United Arab Emirates, United Kingdom, United States, Uruguay, Uzbekistan, Vietnam & Zambia. Besides the above, the Common Reporting Standards (CRS), developed in response to the G20 request and approved by the OECD Council, calls on jurisdictions to obtain information from their financial institutions and automatically exchange that information with other jurisdictions on an annual basis. A key element of successful implementation of CRS is putting in place an international framework that allows automatic exchange of CRS information between jurisdictions. This framework is known as CRS Multilateral Competent Authority Agreement (MCAA). While over 100 jurisdictions have committed to exchanging information under the CRS, 83 jurisdictions have signed the MCAA till June 2016. Appropriate action against tax evasion including in respect of unaccounted income stashed in foreign countries, is an on-going process. Such action under direct tax laws includes searches, surveys, enquiries, assessment of income, levy of taxes, penalties, etc. and filing of prosecution complaints in criminal courts, wherever applicable. Recognizing various limitations under the existing legislation [Income-tax Act, 1961, etc. ], the Government enacted a new law – ‘The Black Money (Undisclosed Foreign Income and Assets) and Imposition of Tax Act, 2015’ – to specifically and effectively tackle the issue of black money stashed away abroad. This has, inter alia, provided for more stringent provisions of penalties and prosecutions in respect of black money stashed away abroad. Further, under this law, for the first time the offence of willful attempt to evade tax, etc. in relation to undisclosed foreign income/assets has been made a Scheduled Offence for the purposes of the Prevention of Money-laundering Act, 2002 (PMLA). This enables attachment and confiscation of the proceeds of crime of willful attempt to evade such tax, etc., eventually leading to recovery of such undisclosed foreign income and assets/black money stashed away abroad. The new law came into force w.e.f. 01.07.2015. Thus, the first assessment year (A.Y.) in respect of the new law is A.Y. 2016-17 which began only on 01.04.2016. However, before the cases involving black money stashed away abroad were subjected to more stringent provisions of the Black Money (Undisclosed Foreign Income and Assets) and Imposition of Tax Act, 2015, a one-time three months’ compliance window closing on 30th September 2015 was provided under the new law wherein 648 declarations involving undisclosed foreign assets worth Rs.4164 crore were made. The amount collected by way of tax and penalty in such cases is about Rs.2476 crore. The Government has taken several steps to effectively tackle the issue of black money, particularly black money stashed away abroad. Such measures include policy-level initiatives, more effective enforcement action on the ground, putting in place robust legislative and administrative frameworks, systems and processes with due focus on capacity building and integration of information and its mining through increasing use of information technology. Recent major initiatives in this regard include – (i) Constitution of the Special Investigation Team (SIT) on Black Money under Chairmanship and Vice-Chairmanship of two former Judges of Hon’ble Supreme Court, (ii) Enactment of a comprehensive law – ‘The Black Money (Undisclosed Foreign Income and Assets) and Imposition of Tax Act, 2015’ which has come into force w.e.f. 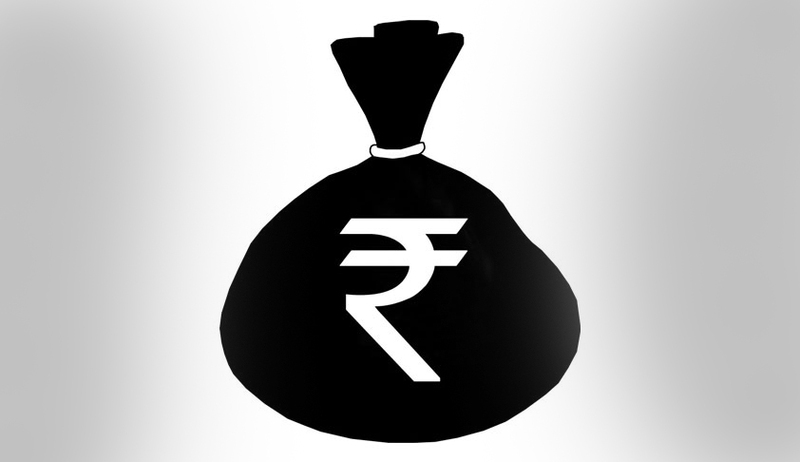 01.07.2015 to specifically and more effectively deal with the issue of black money stashed away abroad, (iii) Constitution of Multi-Agency Group (MAG) consisting of officers of Central Board of Direct Taxes (CBDT), Reserve Bank of India (RBI), Enforcement Directorate (ED) and Financial Intelligence Unit (FIU) for investigation of recent revelations in Panama paper leaks, (iv) Proactively engaging with foreign governments with a view to facilitate and enhance the exchange of information under Double Taxation Avoidance Agreements (DTAAs)/Tax Information Exchange Agreements (TIEAs)/Multilateral Conventions, (v) According high priority to the cases involving black money stashed away abroad for investigation and other follow-up actions including prosecutions in appropriate cases, (vi) While focusing upon non-intrusive measures, due emphasis on enforcement measures in high impact cases with a view to prosecute the offenders at the earliest for credible deterrence against tax evasion/black money, (vii) Proactively furthering global efforts to combat tax evasion/black money, inter alia, by joining the Multilateral Competent Authority Agreement in respect of Automatic Exchange of Information (AEOI) and having information sharing arrangement with USA under its Foreign Account Tax Compliance Act (FATCA), (viii) Renegotiation of DTAAs with other countries to bring the Article on Exchange of Information to International Standards and expanding India’s treaty network by signing new DTAAs and TIEAs with many jurisdictions to facilitate the exchange of information and to bring transparency, (ix) Enabling attachment and confiscation of property equivalent in value held within the country where the property/proceeds of crime is taken or held outside the country by amending the Prevention of Money-laundering Act, 2002 through the Finance Act, 2015, (x) Introduction of the Benami Transactions (Prohibition) Amendment Bill, 2015 to amend the Benami Transactions (Prohibition) Act, 1988 with a view to, inter alia, enable confiscation of Benami property and provide for prosecution, (xi) Initiation of the information technology based ‘Project Insight’ by the Income Tax Department for strengthening the non-intrusive information driven approach for improving tax compliance and effective utilization of available information. These measures have equipped the Government better in curbing the menace of black money stashed away abroad. Further, sustained and prompt action taken by the Income Tax Department in various cases involving black money has resulted into assessment of substantial amounts of undisclosed income, levy of concealment penalty and filing of criminal prosecution complaints for various offences in appropriate cases. As part of enforcement measures, the Income Tax Department (ITD) conducted searches in 990 groups of assessees during last 2 years (F.Ys. 2014-15 and 2015-16), seizing undisclosed assets worth Rs.1,474 Crore. These assessees admitted undisclosed income of Rs.21,354 Crore. During the same period, 9,457 surveys conducted resulted in detection of undisclosed income of Rs.22,475 Crore. Further, there has been significant rise in criminal prosecutions filed by the Income Tax Department in last 2 years and number of cases where prosecution complaints were filed and offences were compounded during F.Ys. 2014-15 and 2015-16 is 3,140 as against 1,690 during F.Ys. 2012-13 and 2013-14. This information was given by Minister of State for Finance Shri. Santosh Kumar Gangwar today in reply to a Rajya Sabha question.